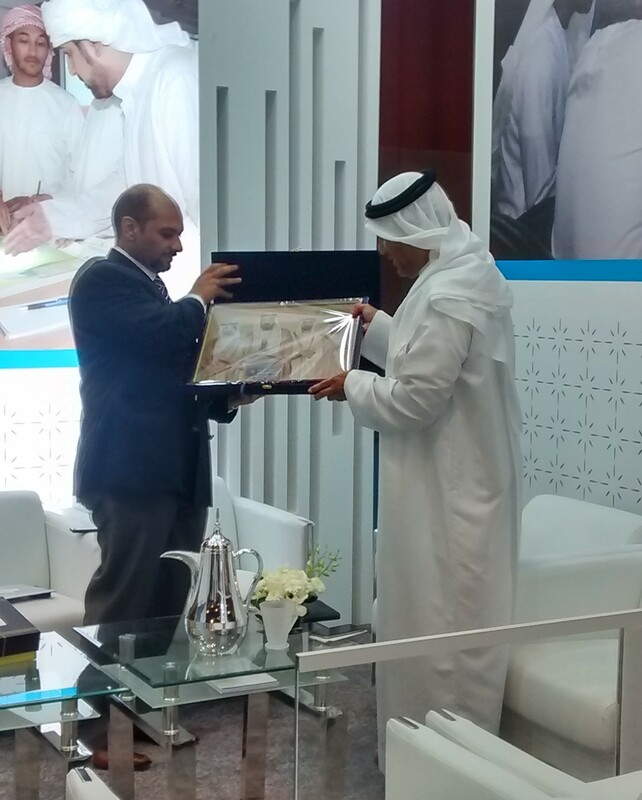 Last week, Abu Dhabi Ports – the master developer, operator and manager of ports and industrial zones in the Emirate, participated in Maritime Academic Conference & Expo 2015 (MARACAD) which was held on November 10th and 11th at Dubai World Trade Centre. 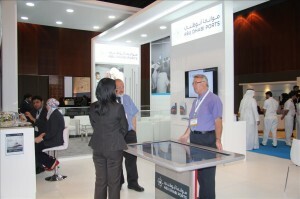 Our Simulation Services Manager, Clive Hotham, was invited to support our client (Abu Dhabi Ports Maritime Training Centre) at their stand for MARACAD. Abu Dhabi Ports’ internationally recognised Maritime Training Centre that offers a portfolio of marine and port training courses presented its higher level courses at MARACAD. The Centre is a leading training facility in the region and the first GCC maritime training institute to pass a Lloyd’s Register audit and be officially accredited as an Approved Training Provider. The Training Centre, established in 2011, offers courses on par with international standards that are not otherwise available in the region. The courses have been accredited by the UK Maritime and Coastguard Agency (UK MCA) and recognised by IALA-AISM, a non-profit, international technical association. Internationally recognised instructors are conducting the courses using ship, RADAR and ECDIS (Electronic Chart Display & Information System) simulation. The centre offers a number of security related training courses including Port Facility Security Officers (PFSO) authorised by the national security authority of the UAE; and the General Authority for the Security of Ports, Borders and Free Zones. These courses, for those involved in port security, have been accredited by the Federal Transport Agency as approved training courses. A number of courses in navigation, ship handling chart work and local knowledge for ship’s officers and pilots are also offered, using the ship and radar simulators. Check out some of the pictures from MARACAD below. Below are a list of courses which will be running at the National Maritime College of Ireland in the coming weeks.We have limited availability on the following courses and we urge interested parties to book a place to avoid disappointment. All courses can be booked by clicking here. If you have any queries then please contact the Services Office via: services@nmci.ie / +353214335609.